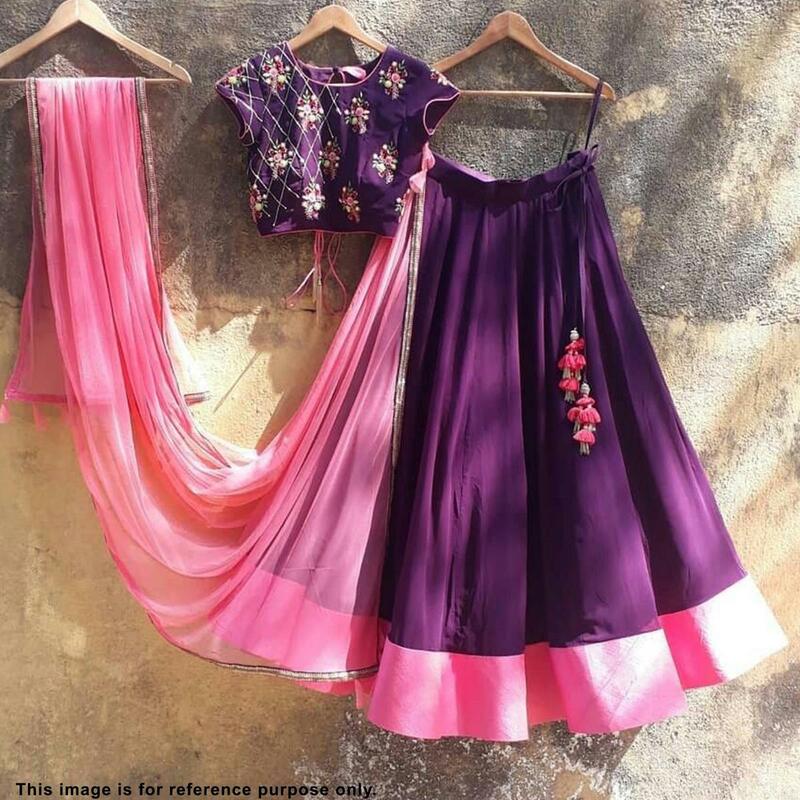 Look stunning wearing this marvellous purple colored partywear lehenga choli. 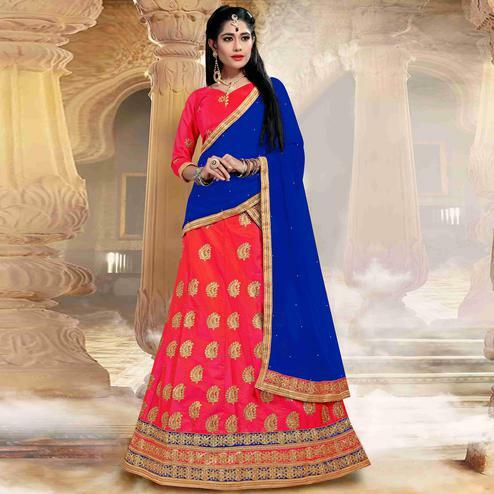 The lehenga is made of satin tapeta silk fabric which has desirable flare which makes this outfit graceful. 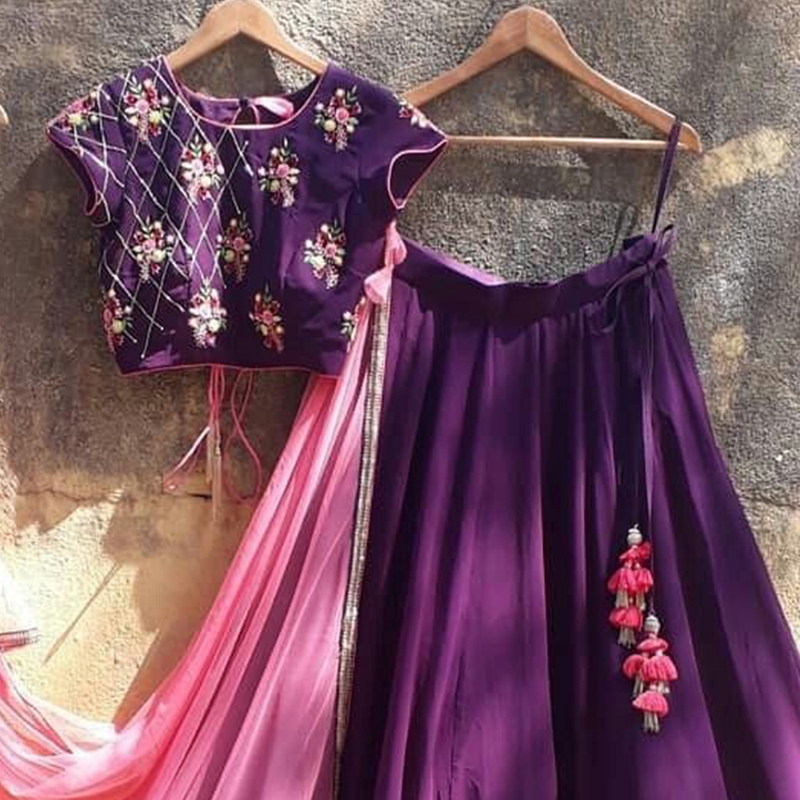 Comes along with embroidered tapeta silk blouse piece and chiffon lace dupatta to complete the look. 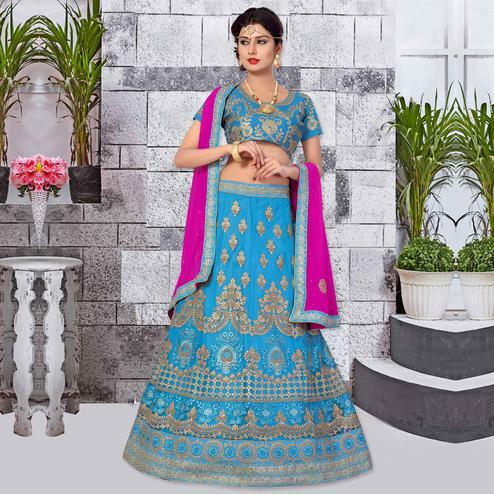 Specially designed to wear for functions, parties and family occasions, where you want to be center of attraction. Pair it up with classy accessories and heels to make your look more attractive. Get this attire now before it's gone out of stock.